Simon, Anna, Shawn Maroney, and Brandon Nelson made a fast-paced dash through the biggest attractions at Yellowstone National Park in one day! They covered Upper Geyser Basin, including 'Old Faithful' Geyser, Lower Geyser Basin, Firehole Canyon, Gibbon Falls, Virginia Cascades, and the Upper and Lower Falls of the Yellowstone River at the Grand Canyon of Yellowstone. Simon, Anna, Shawn Maroney, and Brandon Nelson camped and explored Grand Teton National Park in western Wyoming. These 'postcard' mountains are tall and jagged reaching for the sky. Simon, Anna, Shawn Maroney, and Brandon Nelson climbed Borah Peak the highest point/mountain in Idaho at 12,662 feet. This was a difficult mountain with nearly 2,000 elevation gain per mile for a little over three miles! Simon and Anna visited 'Great Sand Dunes National Park', and climbed the second tallest sand dune in the park, High Dune, which is 650 feet tall. Simon and Anna, also, went sledding on the dunes, which still had patches of snow from an earlier snowstorm. Simon and Anna visited: Humphrey's Peak, AZ, Grand Canyon National Park, AZ, Glenn Canyon and Glenn Canyon Dam, AZ, Zion National Park, UT, Extraterrestrial Highway, NV, Devil's Postpile National Monument, CA, Yosemite National Park, CA, Lassen Peak Vocanic National Park, CA, Redwood State/National Park, CA, Golden Gate Bridge (San Francisco, CA), Kings Canyon/Giant Sequoia National Park/Monument, CA, Sunset Crater National Monument, AZ, and, finally, Petrified Forrest National Park, AZ. 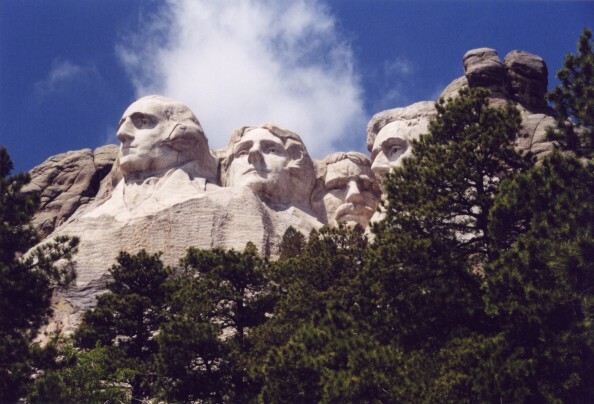 Mount Rushmore National Monument, South Dakota; this picture was taken on a warm afternoon in early June of 2002 by Simon, while Simon and Reed Timmer had a bust in Western South Dakota. 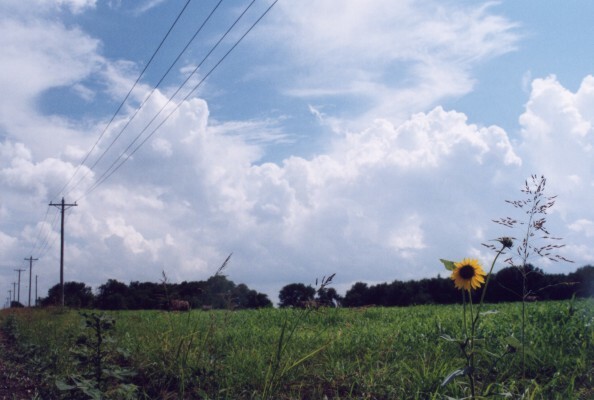 Air mass thunderstorms south of Norman, OK field; shot by Simon on a thunderous afternoon in July of 2002. 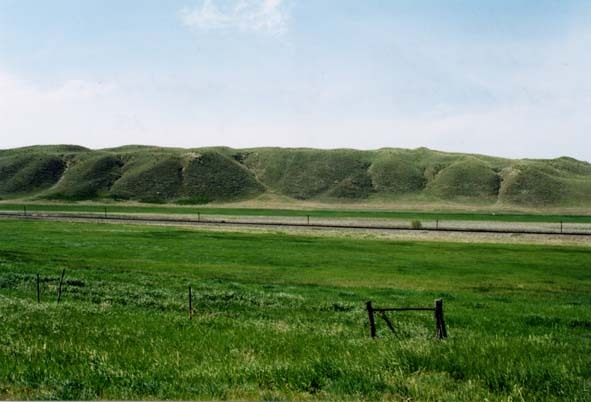 The beautiful sandhills of North Central Nebraska; picture was taken on a hot (~100 deg F) afternoon in June 2002 (exact location unknown). 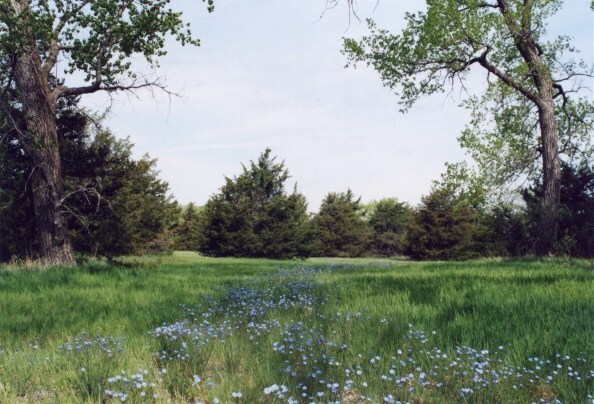 Bluebonnet flowers at a rest area in Central Nebraska on I-80; Simon took this photo on a morning in May 2002, because this was his first time in Nebraska and later that day Simon and Jim had a bust in Wyoming.